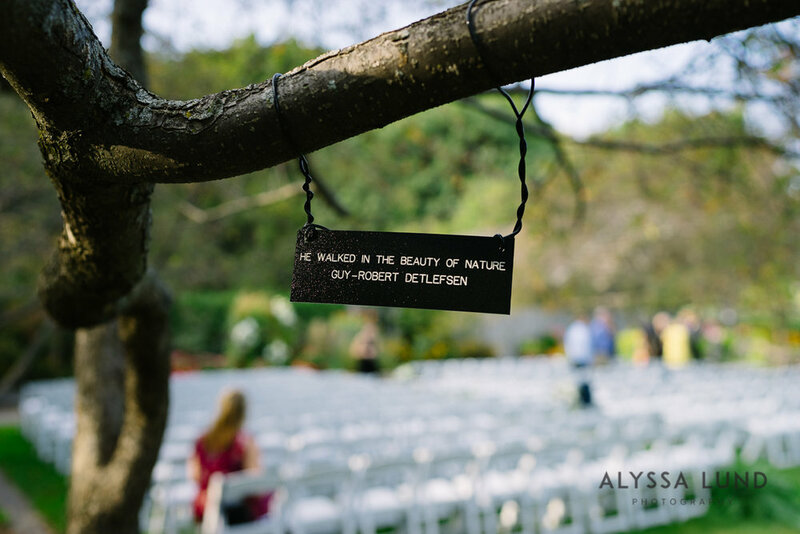 Susan and Brett chose the University of Minnesota’s Landscape Arboretum as the venue for their day and I couldn’t imagine a more perfect space for them. 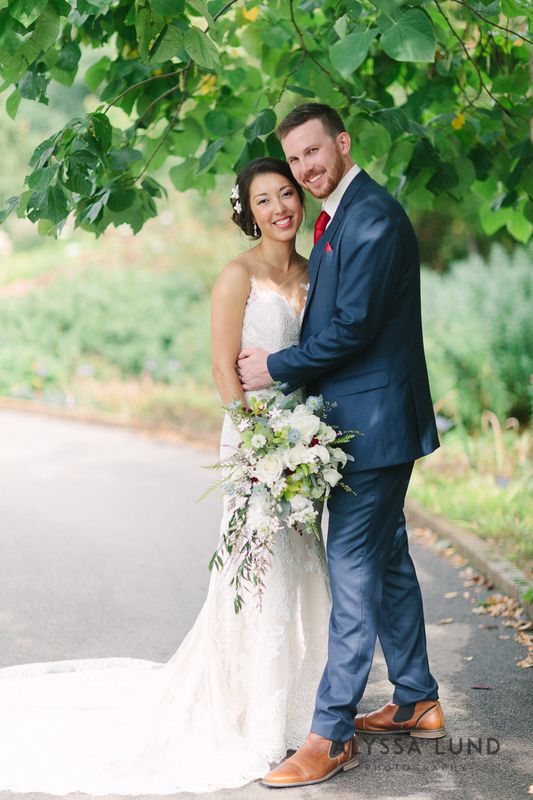 The natural setting provided a perfect backdrop for their wedding day to unfold. 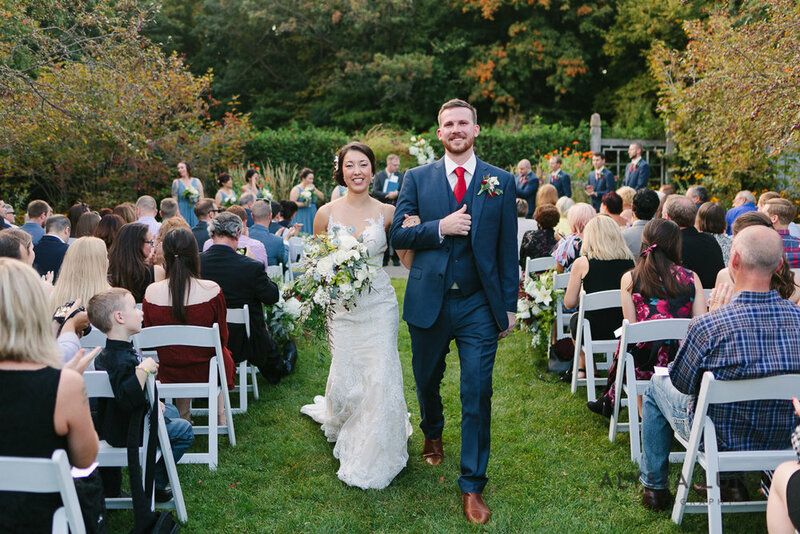 It was important to Susan to honor her Korean heritage as she embarked on a life with Brett, so they began the day in Korean wedding attire called hanbok. 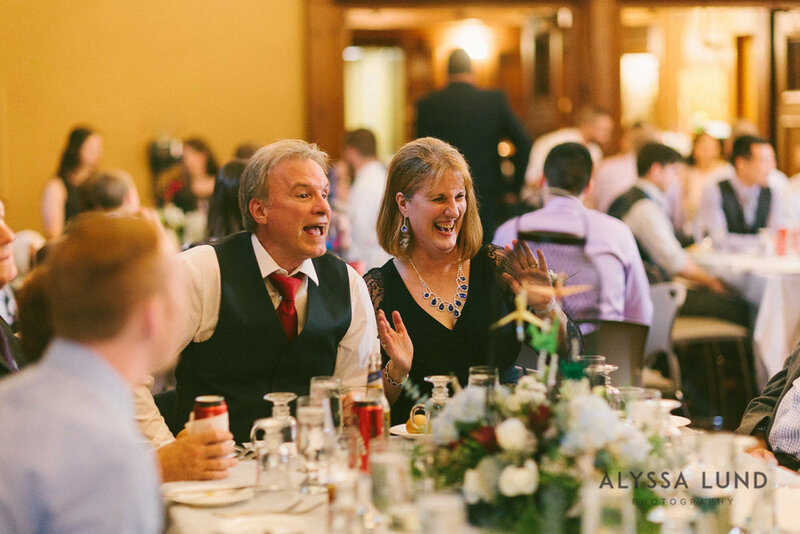 This small, initial chapter in Susan and Brett’s wedding day set the tone for a day that honored family and tradition, but was ultimately all their own. Susan and Brett parted ways to change into their ceremony-wear. Brett, with his best friends, and Susan surrounded by her friends and her mother and sister. Getting ready photos are always full of fun candids but I especially loved being able to capture this sweet moment of connection as Susan’s mother and sister carefully, lovingly buttoned all of Susan’s tiny intricate buttons. 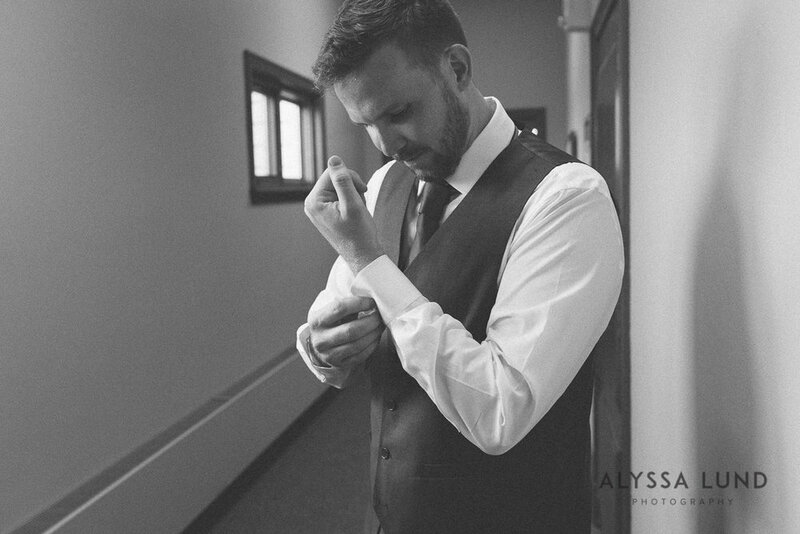 I’m a big believer that a first look is one of the best moments of a wedding day; it’s a small private moment of connection for a couple before their day of celebration begins. Susan and Brett were so full of emotion during their first look portraits, set against a backdrop of pine trees. No matter how long I do this job, I can’t help but melt when two people tear up at the sight of one another. As I got to know Susan and Brett during the year before their wedding and their engagement session I knew that their wedding would be infused with their happy, fun-loving energy. 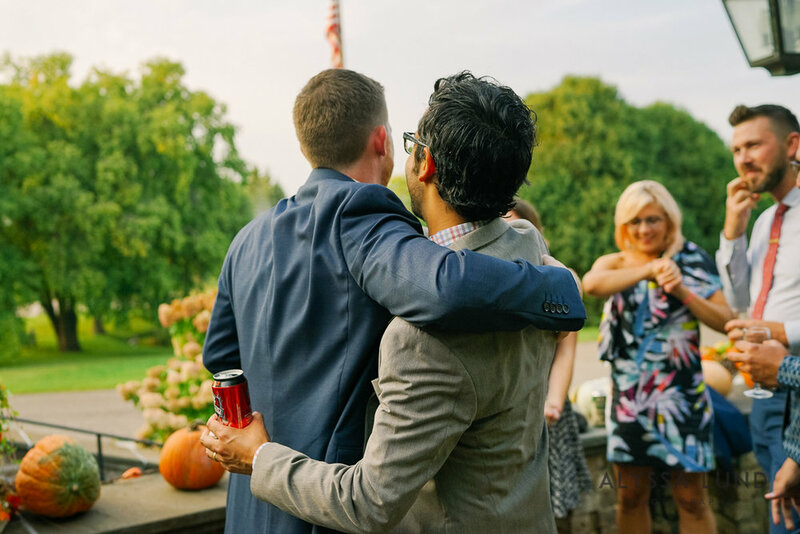 While we certainly planned some posed photos of the wedding parties and families, the ones I love are the most “them,” candid moments captured between locations as Susan and Brett joked with their closest friends, drank a little beer and enjoyed a perfect day. How much do you love that photo of Susan in her beautiful dress, tall-boy in hand? 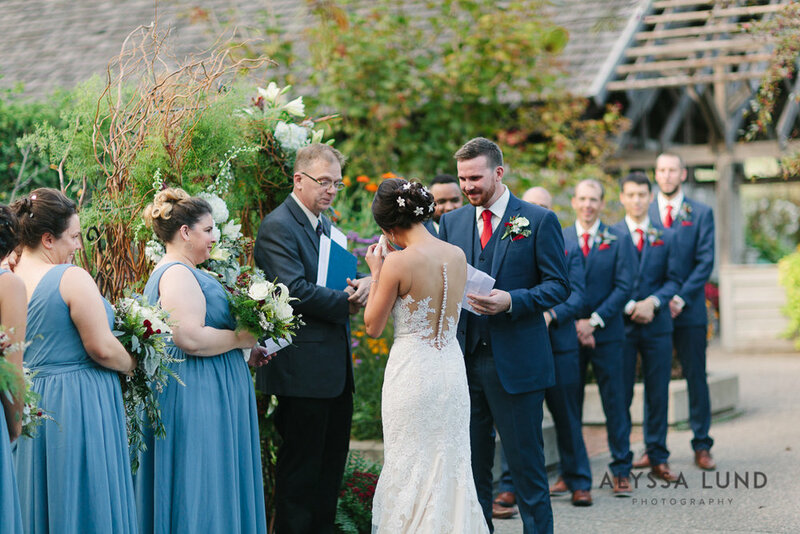 The wedding ceremony took place in the Arboretum’s Sensory Garden, with dappled light and bright sun moving through the old trees. I loved witnessing how much Susan and Brett love each other: he cried at her vows, she at his. Pretty much everyone cried when they said “yes” to each other. After greeting their guests, Susan, Brett and I snuck out to capture some sunset portraits. It was the first of what I’m sure will be many times Brett asked Susan to “just trust me.” He had a little nook in mind, and so we climbed over boggy ground, through at least one cloud of bugs. Susan and I were both a bit skeptical, but we trusted Brett and were rewarded with the loveliest photo spot. A magic boardwalk and beautiful golden light. The photos are a quiet moment, full of joy. 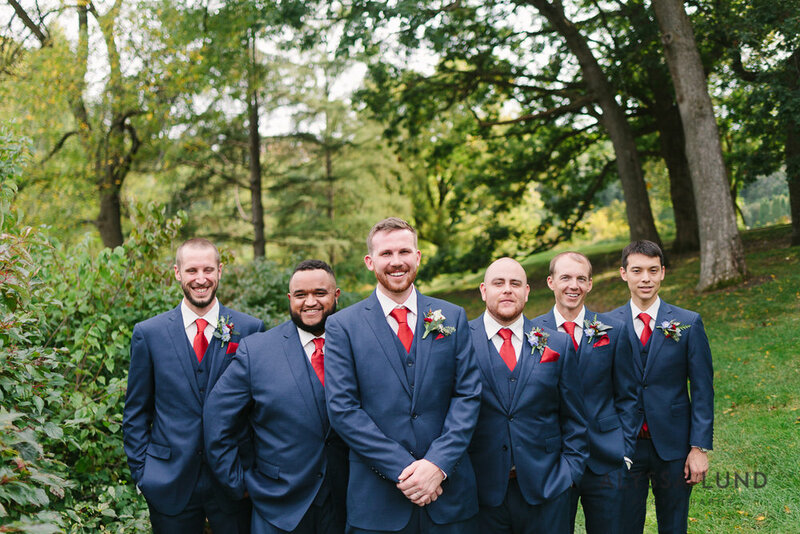 The reception was in Snyder Hall and, in the year or so before their wedding, Susan and Brett together had made 1000 paper cranes to decorate the space. Legend says that anyone who folds 1000 paper cranes will be granted a wish, and I can only imagine Susan and Brett wished for a life together filled with love and fun. Love and fun were certainly present in all the toasts offered by friends and family. Each one was personal, emotional and hilarious. 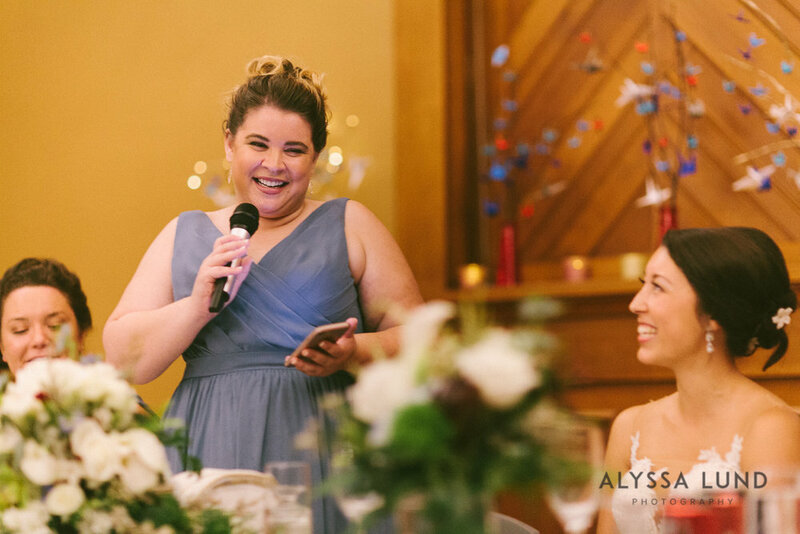 Behind the camera, I was absolutely belly laughing along with the rest of their guests. Their day ended with dancing, a sweet first dance together as a married couple and then dancing the night away with all their loved ones and friends. Susan and Brett, I am so honored that you chose me as your wedding photographer. I’ve loved getting to know you both over all these months. Thank you for giving me a window into your relationship! I love that your partnership is full of adventure and intention, lots and lots of laughing, and also a deep and beautiful love for each other. Congratulations Susan and Brett!